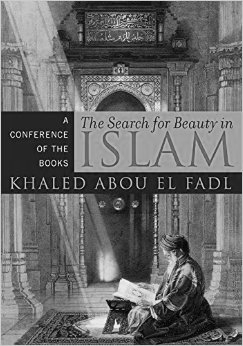 Khaled M. Abou El Fadl, The Search for Beauty in Islam: A Conference of the Books (Oxford: Rowman and Littlefield, 2006). Prophet Muhammad. For each essay, the author imagines a “conference of books,” most frequently classical Islamic texts, but also books on law, philosophy, literature, Judaism, and Christianity. Abou El Fadl describes his primary focus throughout the volume as “the ethos of knowledge and beauty in modern Islam” (xvi). This ethos has historically regarded knowledge as difficult and elusive, and as demanding significant diligence and persistence. Abou El Fadl’s goal in providing these essays is to ground the large numbers of Muslims today who have been uprooted from their tradition and, as a result, have lost their moral and intellectual grounding. And yet, as the author explains, “These essays do not only attempt to reinvigorate but also to re-orient the pre-modern methodologies of Islamic knowledge. I argue that there is much beauty in the traditional Islamic methodologies of knowledge, but I also argue that even the traditional methodologies should be re-oriented toward an unrelenting and persistent exploration of a core Islamic value—beauty” (xviii). That reorientation is especially needed in the present context, Abou El Fadl contends, as widespread authoritarianism has resulted in censorship and intolerance in much contemporary Islam. Essay titles include “The Pearls of Beauty (On Refinding Our Lost Civilization),” “The Restorations of the Night,” “The Scholar’s Road,” “9/11,” “When God Asks the Child,” “The Testimony,” and “Embraced by the Beloved.” The author frequently interweaves his own first-person narrative with the thought of figures in the history of Islam. For instance, “Notes of the Transformation” conveys to the reader the message that various Shaykhs who formed the author would repeat: “[A]lways repeat what Abu Hanifa (d. 150/767) said, ‘I believe that my opinion is right, but possibly wrong, and your opinion is wrong, but possibly right. Know that it is beautiful to seek the truth, but every time you claim to have found it, you are flirting with a lie, and risking the ugliness of conceit.’ Blessed be those Shaykhs who implanted in my heart the enormity of God and God’s unbounded beauty” (346). At the end of the volume a glossary of terms and selected biographies can be found which will orient the novice to much of the tradition Abou El Fadl describes. Navid Kermani, God is Beautiful: The Aesthetic Experience of the Quran, trans. Tony Crawford (Cambridge: Polity Press, 2015). This translation makes Navid Kermani’s celebrated Gott ist schön available in English for the first time. In the volume Kermani addresses a curious feature of academic treatments of Islam: “Islam’s aesthetic dimension is of central impo1rtance to the Muslim self-image . . . yet, at the same time, the aesthetic dimension has hardly figured at all in the Western view of Islam, art historians’ research aside” (vii). A major reason for this lacuna, Kermani explains, is the perceived absurdity of the doctrine of i‘jāz in the West. This doctrine holds that the inimitable aesthetic achievements of the Quran (concerning, for instance, its language and rhetoric) serve as the best evidence for its authenticity as a miraculous revelation from God. The i‘jāz of the Quran was criticized in 1910 by Theodor Nöldeke, and his assessment remained the paradigm for Western scholars well into the 1970s. As a long-overdue corrective, Kermani offers an account of the “aesthetic reception” of the Quran, by which he means “a reception that is oriented primarily towards the sensory appearance of an object—that is, its visual, auditory, tactile, olfactory and gustatory properties . . . in contrast to its discursive content, consisting of abstract concepts” (x). He divides this aesthetic reception into six chapters. Chapter 1, “The First Listeners,” examines various accounts of “the overwhelming effect of Quran recitation on Muhammad’s contemporaries, of people who converted on hearing a verse of the Quran, or who wept, cried out, were enraptured, or fainted” (1). Kermani does not attempt to establish the historicity of these stories, but is instead interested in the ways in which such narratives shape cultural memory within Islam. The central claim throughout the chapter is that the poetic form of the Quran is necessarily tied to its perception as a revelation from God. As Kermani summarizes the chapter: “To paraphrase Nietzsche’s sentence that he would only believe in a God who could dance, we might say of Muhammad’s contemporaries that they could only believe in a God who could make poetry” (66). Chapter 2, “The Text,” examines in greater detail the claim that the Quran is poetry, and, although it would not qualify according to the criteria of classical Arabic literary theory, it still shows “poeticity,” or “the property of a text that makes an aesthetic reception possible” (71). Chapter 3, “The Sound,” concerns itself with the Quran as a specifically oral text, and it examines the effect of this aspect of the Quran on its listeners. Kermani concludes this chapter with a note that will be picked up later in the volume: “The Islamic mystics devoted more attention than others to the receptive end of Quran recitation—that is, to the act of listening” (184). Chapter 4, “The Miracle,” examines the elements that led to the development of the doctrine of i‘jāz, and Kermani concludes that such a “peculiar theory” could not have arisen solely out of an apologetic desire to attribute a miracle to Muhammad, nor because of “scholastic sophistry” (250). Instead, “that was possible only thanks to the community’s already existing collective memory of the power of the recited Quran and to their own aesthetic reception of the recitation” (250). Chapter 5, “The Prophet among the Poets,” explores the relationship between the Quran and Arabic poetry as one in which the Quran is understood, using Hegel’s model, as the absolute work of art. One implication of this, as Kermani provocatively notes, is that “an exploration of Islam as a religion of art could be at least as fruitful as the studies that have customarily examined it as a religion of law” (292). Kermani begins Chapter 6, “The Sufi Listeners,” with the claim that “no one reacted to the melody of the divine word more enthusiastically, or with more alarm, than the Sufis, the mystics of Islam” (293). After regaling the reader with various accounts of Sufis fainting, weeping, crying out, falling into rapture, and even dying in response to hearing the Quran, Kermani ends his examination by noting that no other text in world history has received such lofty aesthetic praise. Meena Sharify-Funk, Encountering the Transnational: Women, Islam and the Politics of Interpretation (Aldershot, Burlington: Ashgate, 2008). world. Three sets of questions were asked to each interviewee. First, questions about self and other were posed, and Sharify-Funk focused on the various conceptions of “the stranger” among the women with whom she spoke. Questions about self and society followed, in particular the way in which interviewees understand their relationship with societal norms. Third, Sharify-Funk asked her interviewees about the transnational, and how they see their “cultural selves” in relationship with the wider world. The author uses these interview transcripts as “texts in need of interpretation” (7), and the themes that emerge from her interviews form the structure of the book. After an introductory chapter that outlines the author’s goals and method, Chapter 2, “Mixed Messages and Multiple Agendas,” traces the high degree of publicity that Muslim women have had in the post-9/11 world, and Sharify-Funk notes the worry expressed by many that their voices have been coopted by political agendas foreign to their actual concerns. Among the questions that follow are: “How do they [i.e., Muslim women] address themselves to traditional religious as well as cultural barriers to the advancement of women? How do Muslim women seek to make their voices heard, and from what indigenous sources do they formulate their views about Islam” (22)? Chapter 3, “Trends and Transformations in Contemporary Islamic Hermeneutics,” responds to these questions and others, first by orienting the reader to interpretive issues in Islam, then offering a review of scholarship on Islamic transnationalism. From there, Sharify-Funk describes the important lacunae in the literature on women and Islam. In Chapter 4, “Identity and Interpretation: Dialogue and the Negotiation of Meaning,” the author draws from her interviews with Muslim women “to discuss key dilemmas pertaining to identity formation, intellectual outlook, and social values as perceived by public intellectuals and activists with whom I met during the course of my research” (61). Interviewees frequently expressed resistance to a number of “either/or” ways of thinking, especially those that regard “modern” as equivalent with “secular,” and “traditional” as synonymous with “religious.” Chapter 5, “The Transnational and the Politics of Community,” examines the many ways in which transnational conversations among Muslim women shape identity and approaches to activism in their respective contexts. Chapter 6, “Muslim Society and State: The Politics of Public Space,” notes that transnational conversations did not, as one might expect, remove Muslim women from the immediate concerns of their particular communities, but instead changed “the ways they think about their identities as engaged citizens within the frameworks of nation-state and Islamic community (Ummah)” (109). Chapter 7, “Muslim Woman as Self/Other: The Politics of Identity,” first observes the tendency for “othering” of Muslim women to leave them bereft of agency, and then investigates attempts to reclaim that agency. Chapter 8, “Conclusion: A Space for Connectivity and Dynamism,” suggests that transnational conversations are playing an integral role for activism among Muslim women today around the globe. Venetia Porter, ed. 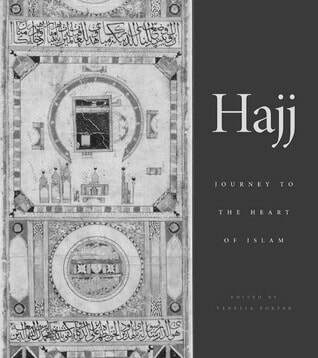 Hajj: Journey to the Heart of Islam (Cambridge, MA: Harvard University Press, 2012). which pilgrimage emerges in religious traditions (even those in which their founders criticized the practice, such as Buddhism and Christianity), and she sees the Hajj, like other pilgrimages, as “an initiation, a ritualized ordeal that propels participants into a different state of consciousness” (21). In “The Importance of Hajj: Spirit and Rituals,” M.A.S. Abdel Haleem describes the origin of Hajj and the conditions under which it is obligatory within Islam, and a detailed, step-by-step account of the performance of the Hajj follows. The essay by Hugh Kennedy, “Journey to Mecca: A History,” presents the early history of the Hajj, beginning with the first pilgrimage led by Abu Bakr in 630, and proceeding through key events under the Ummayad caliphs, including the rebuilding of the Ka‘ba by Ibn al-Zubayr. Kennedy then treats of the “golden age” of the Hajj under the Abbasid caliphs, and also the changes that ensued after the collapse of Abbasid power. Kennedy closes his essay with accounts from two pilgrims, Nasir-i Khusraw (11th Century) and Ibn Jubayr (12th Century); here the reader will encounter highly detailed material on some of the personal dimensions of the Hajj. Robert Irwin picks up the historical treatment of the Hajj in “Journey to Mecca: A History (Part 2).” He first offers an account of the Hajj in the thirteenth through fifteenth centuries, during which Mongols and Crusaders made the pilgrimage extremely difficult for many travelers. European engagement with the Hajj (and the Islamic world, more broadly) changes in the sixteenth through eighteenth centuries, as Irwin notes, as more and more Western accounts of Islam are brought back to Europe from travelers, some of whom disguise themselves in order to undertake the Hajj. Irwin ends his essay with a treatment of the nineteenth and twentieth centuries and the complex impact of colonialism on the Hajj. In “Hajj after 1950,” Ziauddin Sardar brings the reader into the present day, noting the logistical challenges that come with increased numbers of pilgrims in the late-twentieth and early-twenty-first centuries. Two essays by Venetia Porter conclude the volume: “The Modern Art of Hajj,” and “Textiles of Mecca and Medina.” Here the reader is exposed to the material culture that is associated with the Hajj, most significantly the textiles of the Ka‘ba. The essays are accompanied by 209 images.